documents contained within the Papers of Thomas Jefferson Digital Edition, with the support of the Rotunda Press of the University of Virginia. Klein, L. “The Image of Absence: Archival Silence, Data Visualization, and James Hemings.”American Literature 85.4 (Winter 2013): 661-88. Eisenstein, J. and L. Klein. “Reading Thomas Jefferson with TopicViz: Towards a Thematic Method for Exploring Large Cultural Archives.” Implementing New Knowledge Environments (INKE) Annual Meeting 2012. Vancouver: Scholarly and Research Communication, 2013. 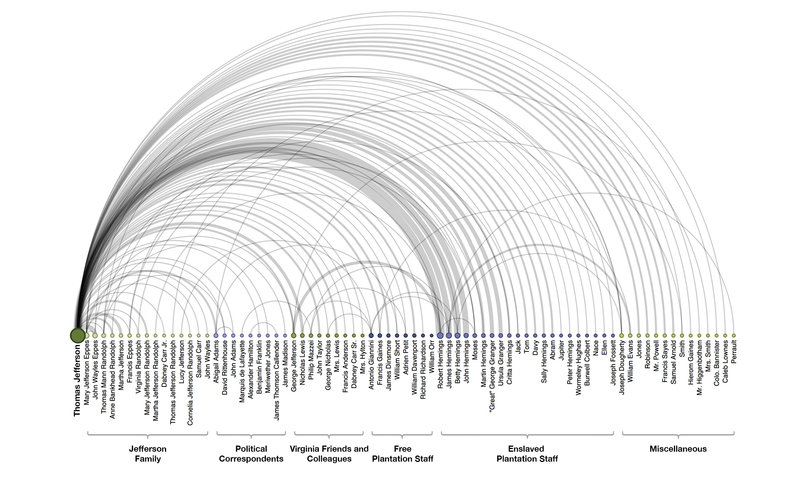 Klein, L. “Social Network Analysis and Visualization in ‘The Papers of Thomas Jefferson.’ Digital Humanities 2012. Hamburg: Hamburg University Press, 2012. Klein, L. “Archive.” Roundtable on “Critical Keywords in Early American Studies.” EarlyAmerican Literature 46.3 (Winter 2011): 626-34.